A high impact system that automates processes and increase productivity. It’s a software system that facilitates the flow of your businesses information. It pulls all of your Business information together and making it quickly and easily accessible to those who need it. Effective forecasting, planning, and scheduling are fundamentals to productivity. Whether you operate a small or a large organization, Ease CRM & SALES system can cater to overcome the market challenges with the right tools and unrivaled support, as we have for many of the biggest names across industries. 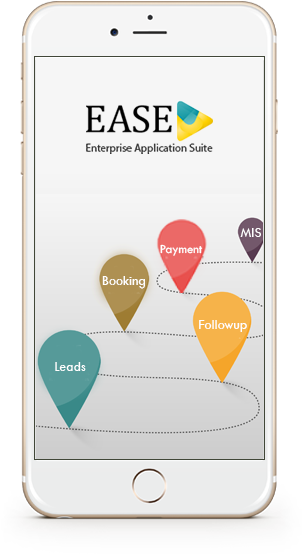 EASE CRM & SALES integrates every step of the Sales operations, from pre-sales, post sales and marketing activities. You can generate reports of your team’s daily productivity to create more efficient and effective business processes. All the unstructured document and data are managed and digitalized by EASE CRM & SALES. Large variety of document formats and versions are supported and also provides searching capabilities and extensive access control to customer data with option to Import / Export on MS EXCEL. Organize all info associated with your customer by creating customer profile. View all service tickets, order, interaction, etc. With easy access to previous conversations, customer feedback, customer requirements and develop new ways to convert leads into happy customer relationships. With integrated E-mail and SMS tools, you can set automated alerts for your sales team for scheduled / pending follow-ups, send information to customers, Send Birthday and anniversary greetings to your existing customers and much more. 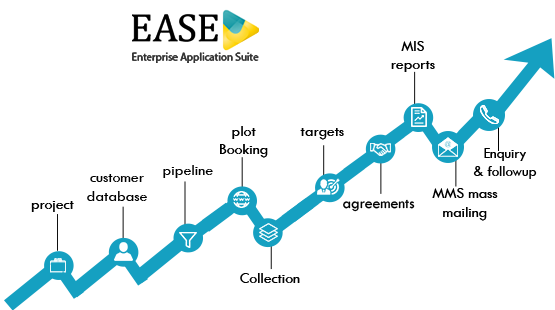 With multi hierarchy access, assign sales targets to your team and monitor performance. Manage your schedule with ease on a daily, weekly or monthly basis. Track upcoming events and set reminders. Integrate with your existing or other 3rd party tools to access and manage all operations on one platform.